5 Cleaning Games you can use to make chores fun for kids! It’s that time of the year: time for Spring Cleaning! I always look forward to this time of the year, to declutter my house and give it a good deep cleaning. One of the first things I like to do is to start stocking my shelves with paper products. By getting my cleaning supplies, and storage areas cleaned and organized, I feel better prepared to continue working through the rest of the house. Two of my kids are at the ages that I like to involve them in the cleaning process, especially for the room that they share. 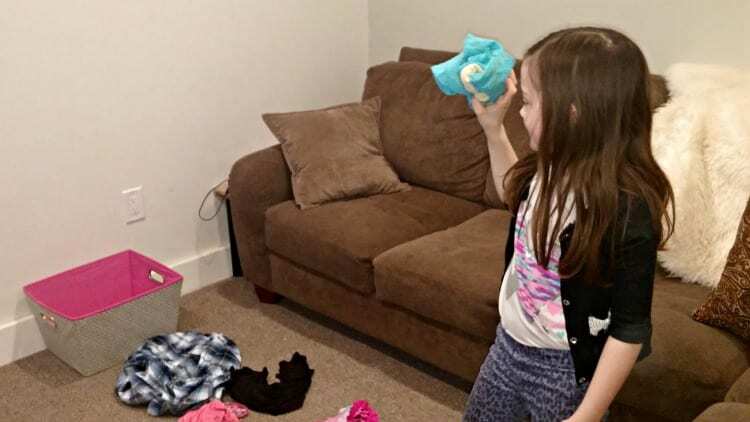 I have found some ways that make the Spring Cleaning process fun for my kids, which results in them doing a better job too. Having kids get involved in the cleaning process can seem like more work then it might be worth when they are young, but now that I have raised one of my kids into adulthood I find its well worth the extra work when they are young, to get them on the right path to being good helpers as they get older. 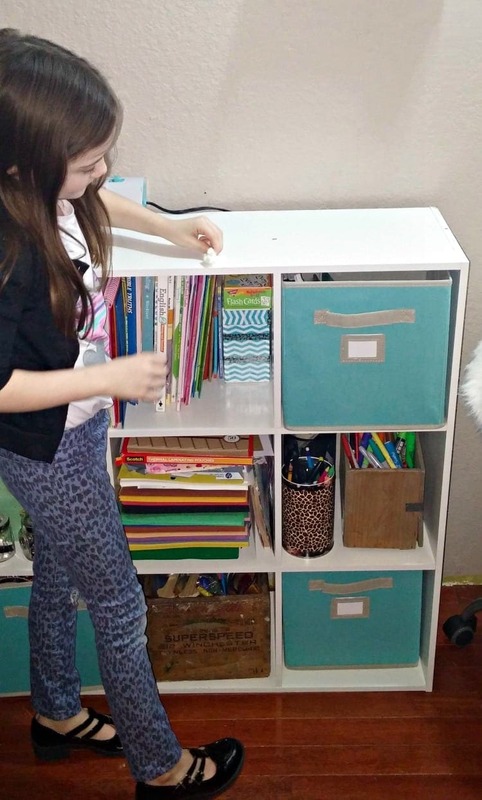 One of the first things I like to do is to put together a cleaning supply bin for each child. This does not have to be expensive, but is a great way to let the kids take ownership when cleaning. Its great for adults to have cleaning bins too (makes it so easy to get started when you can grab things in one spot). 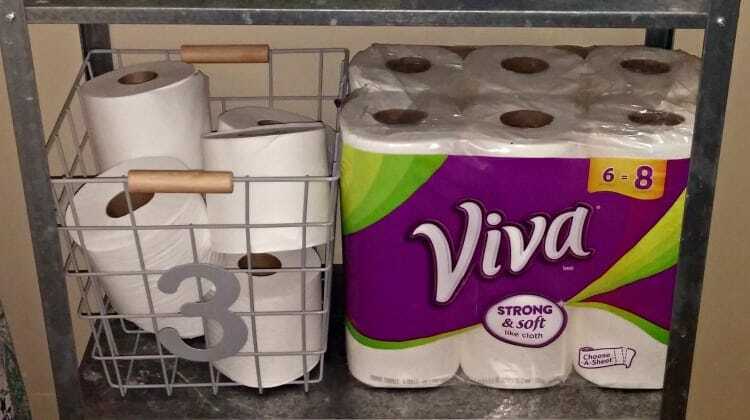 The picture above has some ideas for general cleaning bins, and all of these items can be grabbed on a budget at Walmart (check out these deals on Viva®, Scott®, Cottonelle® products available right now). They are thinking hard about what else they want to add to their cleaning caddies! My girls both got really excited about putting together their own cleaning bins. 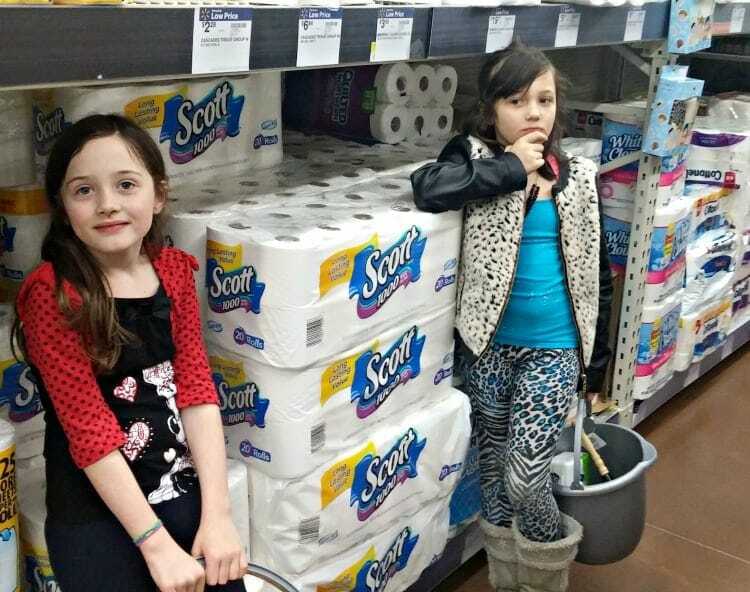 We headed out to Walmart to get these bins put together for my girls, and keep things affordable. I also let my kids decorate their cleaning caddies. I will generally start by putting their names on one side with a label, and then I let them go to town decorating the rest with sharpies, puffy paints and stickers! Bucket to hold supplies (and let the kids decorate these to further personalize)! Its also fun for kids to have kid size brooms and dust pans or dustbuster vacuums work well as kid sized vacuums. Kid size aprons can get the kids in cleaning mode as well. 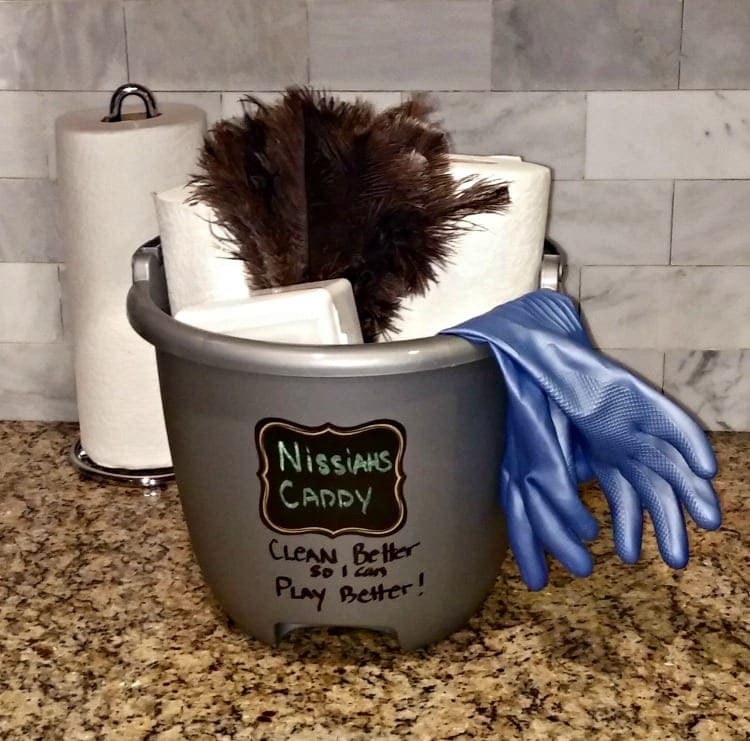 Once the kids have their supplies ready we play a couple of games to make cleaning fun for them. 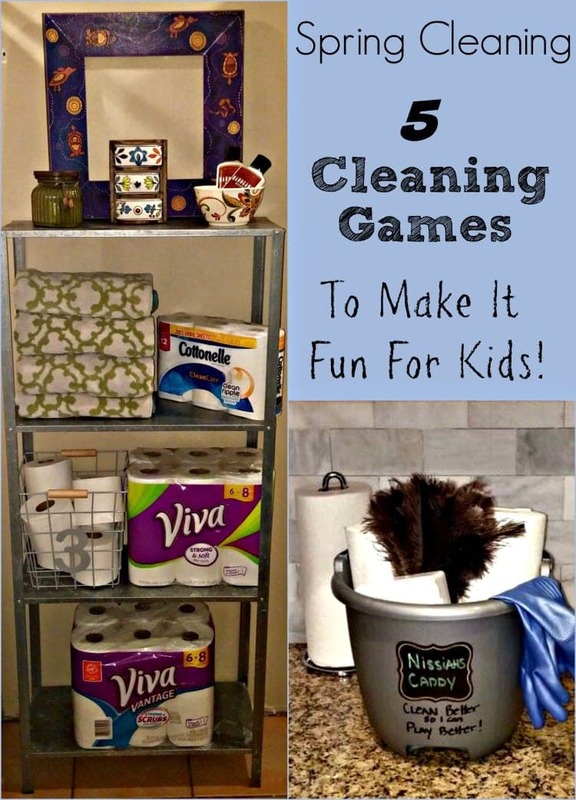 I find that these games work particularly well when trying to get kids to clean their rooms. 1 – Make it a race. The key here is to break the cleaning into small chunks, and you have to some kind of timer to make it really work. There is something about having an actual timer that will make noise when it goes off, that motivates my kids better. 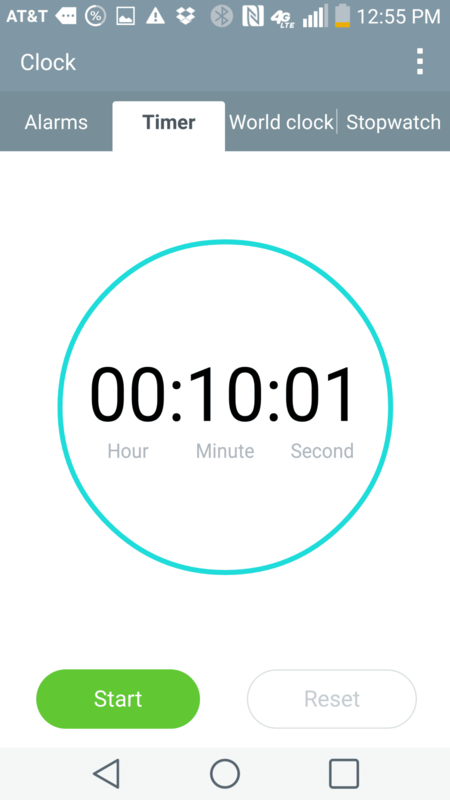 I just use my phone timer. That way they can check in themselves to see how much time they have left. The thing that I love the most about this game is that it requires less supervision then some of the others, so I can also get some of my Spring Cleaning tasks done while the kids are working on theirs. I generally outline what I want them to do, and break it up into small chunks of time per task (can get longer as they get older, but the trick is to keep it short enough that they do not lose interest). I find 5-10 minutes to work for younger kids and 15-30 minutes for older kids. An example would be to pick up a specific area of the room, or to dust or sweep parts of the house in that time frame. For this game write cleaning tasks on a large wooden stick. This works best if you are specific (ie wiping down the office furniture, or sweeping the living room, washing windows, doing the dishes, etc). Then put all the sticks in the jar and let the kids pick their “Mystery Chore” to do. 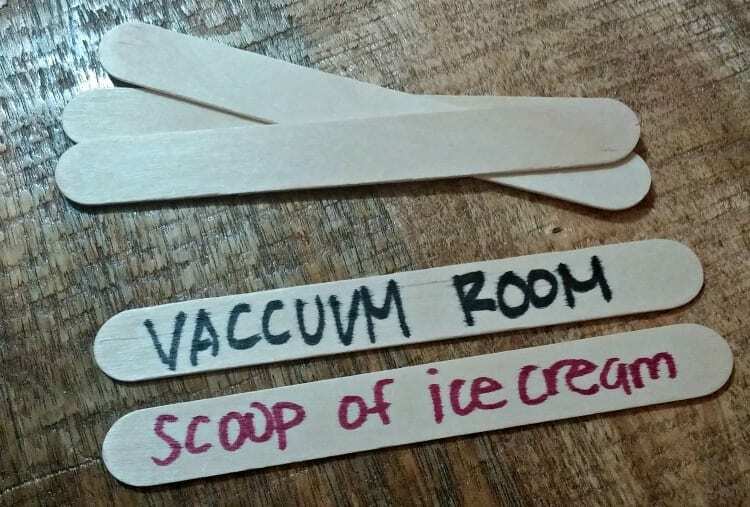 On the back of each chore stick, write a small reward (ie 15 minutes of computer time, scoop of ice cream, mom plays one game with you) that the kids can cash in during the week for each chore they successfully complete. Another version of this I heard one mom share in a moms group once, is to put quarters under items left on the ground. Then the kids have to clean up and they can gather the quarters while they clean for a trip to the Party City Store, or Dollar Store to spend after room is finished. Turn on some of your kids favorite songs and let them dance while they clean. You can designate one task per song (ie ‘try to get the floor vacuumed before the song ends’). This can be even more fun, if you give the kids 15 minutes to get ready for the dance party! Tell them to go get dressed (in dress up clothes, or a favorite outfit) to get ready for the cleaning party. If the playroom is really messy, set up a couple of bins around the perimeter and let the kids toss the items into the right “baskets”. You can label the bins to make sorting easier too (toss legos in this bin, and stuffed animals into this bin, etc). This also works great for sorting laundry with the kids, or if they have clothes strewn all over the room. Pick a certain number of items up and put them away, then play for 10 minutes (I like to make them pick up 20 items, or do a specific task (ie vacuum their floor) and then play for 10 minutes. More Tips for Spring Cleaning with Kids! Just as an extra note. If I have one kid who is a little more motivated then another on a particular day then I will split the room, or split the chores in half and let them go at it at their own pace. That way the slower one is often motivated by their sibling who is getting their work done. 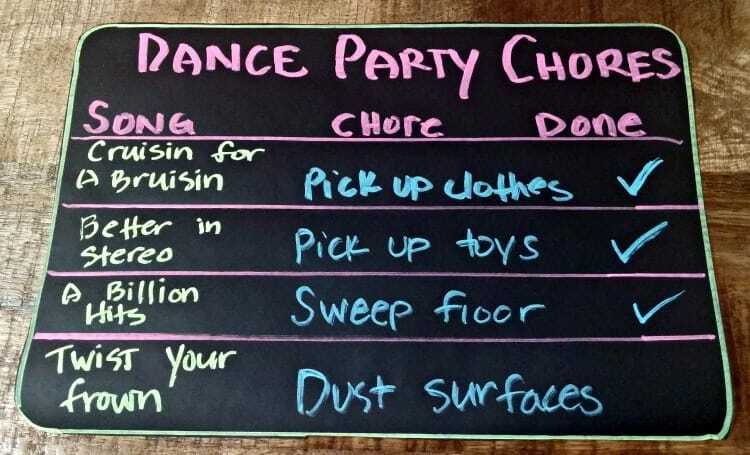 Chore charts can be really useful here too. We have free ones you can print here. Need help with Laundry. I will fold each child’s clothing when they are young and put it in a pile, then have each of them put their clothes away where they belong. You can also put all the socks into a basket and let the kids sort through and match them up. Make up a song to sing while they are sorting socks. This content is a sponsored conversation by Kimberly-Clark and The Motherhood. All opinions are 100% my own.